Corner sofas can be a blessing in disguise. They tie together what would otherwise be two separate pieces of furniture, free up space that would otherwise have been taken with another piece and create a cohesiveness with everything together in an all-in-one that would otherwise have been two or three pieces cluttering your floor space. Corner sofas are perfect for irregular-shaped rooms, rooms that require lots of bums on seats, and sometimes, they’re just needed in order to fit the family comfortably round the TV. They’re even great just for being able to kick back and relax and lie down when you’re spending time with your partner or loved one. They’re great for families with kids too; not only is there more sofa space for a family to cosy up together, but the floor space created can be a lifesaver when it comes to play time. The problem is that buying a corner sofa requires a bit more thought than buying a regular sofa, so we’ve compiled a short guide on exactly what you should be considering. Have you got a small space? You can still get a corner sofa! Read our guide on how to choose the right corner sofa for a small space. You need to decide where you will be placing your corner sofa and measure the space you have available to make sure you don’t buy one that’s too big. You’ll also need to work out whether you want the corner of the sofa to be on the left or right, something which could potentially block doors and passages if you get it wrong. Though most corner suites usually come in separate parts, be sure to ask your retailer for the exact specifi­cations to ensure you have enough space to get it through the door. Sure, you may have a huge living room but if your doorway is so narrow that it won’t even get into the house – you’ll have a problem! Here’s a tip: clear your living room floor space and pull out a roll of masking tape to lay out an outline of the size and position you’d like your corner sofa to be. Chances are you won’t find a sofa matching your exact dimensions, but with a rough guide to work from you’ll find things much easier plus it will help you decide whether to go for a right or left corner sofa. You need to understand the difference between a left and right corner sofa, and even though it sounds simple it can confuse those who don’t pay attention. Wording and jargon about what is attached to what and where can be difficult to follow if you’re not familiar with sofa shopping, or you’re just having one of those days. If in doubt, ask a salesperson which side is which. Here’s a tip: for a super simple way to discern which side is left and which is right, just stand facing the inside corner of your masking tape outline. The left side is now to your left, and the right is to your right. Desig­ner­Sofas4U can create a fully bespoke corner sofa for your needs, but not all manufacturers or stores can do this for you. Buying a pre-made corner sofa means you can only choose from certain shapes and sizes that may or may not fit your living room space. There’s absolutely nothing wrong with opting for a pre-made corner sofa if you can find one that suits you down to the ground, but this isn’t always possible. It’s rare that two different customers will have the same shape living room with the same objects, doorways and passageways limiting the size and shape of the sofa they can choose, which is where bespoke corner sofas are perfect. The draw back is that since bespoke sofas are made to order there will be a longer waiting time before your new sofa arrives, but if this means it fits perfectly in the space you’ve created for it then it’s unlikely to put you off buying. Plus, if you order bespoke, you know you’ve got a one-of-a-kind sofa, designed and crafted especially for you! Why go bespoke? Read the benefits of choosing bespoke furniture here. We’re the UK’s leading manufacturer of velvet, fabric and leather Chesterfield sofas, and we have plenty of experience with all types of sofa production – so we know a thing or two about the size, style and shape of the sofa best suited to your needs. Our team have decades of experience in lovingly crafting the most unique, most exquisite and the most high-quality corner sofas around the UK. 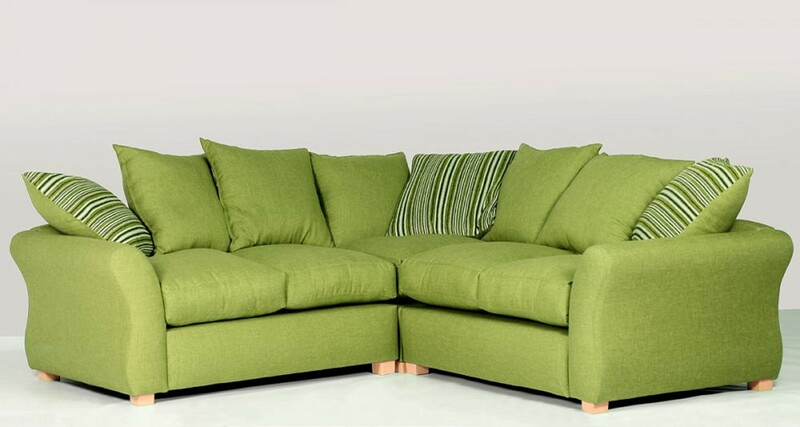 If you need any help with choosing a corner sofa then why not ask us for a little help? You can call 01254 268 590, send an email or fill out our contact us form.